SIBO stands for Small Intestine Bacteria Overgrowth. Having bacteria in our bodies is a normal state of being. In fact, 90% of our body is made up of microbes. So what's the problem with finding them in the small intestine? Well, they don't belong there, at least not in high numbers. Whereas the large intestine is the natural home for billions of microbes, a healthy small intestine only has about 100,000. So, basically, they've migrated. Have you ever dealt with invasive plants in your yard? They tend to take over and cause all sorts of problems. The same thing happens in the small intestine. In today's podcast, we'll discuss why this happens, how it relates to autoimmune disease, and the most effective tests and treatments. 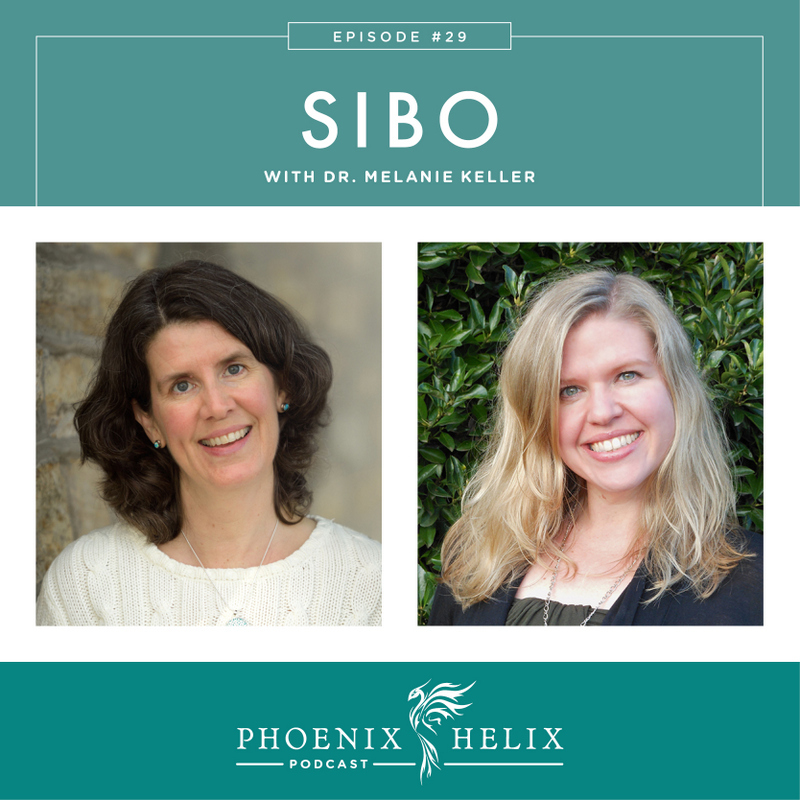 Our guest, Dr. Melanie Keller, has battled SIBO herself and now specializes in its treatment professionally. 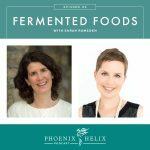 She is a naturopathic physician with a private practice specializing in SIBO. She has trained with the top leaders in this field of research, including Dr. Allison Siebecker, Dr. Steven Sandberg-Lewis and Dr. Mark Pimentel. She also understands SIBO from personal experience, having battled it herself. They created an AIP-Friendly Thanksgiving Meal Plan! You can place your order any time between October 19-November 16. Use the code PHOENIX for 10% off your first order. She was treated with multiple antibiotics for chronic ear infections as a child, which is a risk factor for developing SIBO. She experienced constipation from a very early age, never knowing that wasn't “normal.” Back then, gastrointestinal issues were believed to have psychological origins, so she was prescribed anti-depressants, which did nothing to improve her condition. It wasn't until she was in naturopathic school and started to look into diet and lifestyle, that she saw the connection between the food she ate and how she felt. SIBO research was also emerging at that time, particularly the book Functional Gastroenterology by Steven Sandberg-Lewis. That information eventually led to her diagnosis and treatment. She followed a grain-free, low-FODMAP diet for a long time, but has reintroduced gluten-free oatmeal and white rice in small amounts and finds that optimal for her digestion and energy levels. As she has healed, she's also been able to reintroduce FODMAPs in small quantities, but she's careful not to eat too many in one sitting. Healing the microbiome is a dance that requires tuning into your body, taking small steps forward, and adjusting as needed. 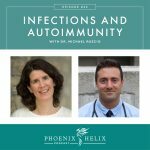 There's a lot of interaction between the gut microbiome and the immune system, and there is emerging research that certain types of microbes, or simply an imbalance in microbes, can trigger autoimmune disease. Autoimmune disease itself is also a risk factor for SIBO. So it can be a vicious cycle of autoimmune disease causing SIBO which then amplifies the autoimmune expression. Moderate alcohol consumption can worsen or even cause SIBO. Dr. Keller believes that in 10 years, a SIBO breath test will be part of every routine physical. Variable stools: either hard and soft stool in one bowel movement, or alternating between constipation and diarrhea. It's also common to have a short healing crisis at the start of SIBO treatment where symptoms get worse for a few days before they get better. Pubmed will list the “gold standard” for testing as an endoscopic aspirate. But it's expensive, invasive, painful, and often inaccurate because it doesn't reach the entire small intestine. The test used and recommended by most specialists in the field, including Dr. Pimentel and Dr. Keller, is the Lactulose Breath Test. It measures for two gases: methane and hydrogen, which are produced by the bacteria throughout the small intestine. SIBO isn't an overgrowth of pathogenic bacteria. Rather, it's a condition where there is an overgrowth of normal bacteria in the wrong place. The large intestine is the natural home for billions of microbes, whereas a healthy small intestine only has about 100,000. SIBO occurs when there are too many bacteria in the small intestine. SIBO cases range in severity. Some people respond to treatment quickly. Others have more complex issues that require longer treatment protocols. The Migrating Motor Complex (MMC) is designed to prevent SIBO from happening. It's a cleansing wave through the small intestine that ideally occurs 11 times daily. Many people with SIBO only get this wave 3 times daily. Prokinetics are either pharmaceuticals or herbal supplements that stimulate the MMC to produce cleansing waves more frequently. They are the second phase of SIBO treatment, added after the bacterial overgrowth has been eliminated. They help prevent SIBO recurrence. For prokinetics, Dr. Keller recommends either the pharmaceutical: low-dose Erythromycin or the herbal supplement: ginger with 5% gingerols. Some people only need to take prokinetics for a few months, while others need them for years. The people who need them long-term usually have autoimmune activity targeted on the MMC that was caused by a food poisoning event in the past. There's a specific test for this autoimmune activity called IBSchek. There are a variety of diets recommended as part of the treatment plan for SIBO, and different ones are chosen based on physician preference and patient needs. What they all have in common is that they limit carbohydrates that are known to be food for bacteria, thereby starving out/preventing overgrowths. Here are links to more information on each one: SCD, GAPS, Low-FODMAP, SIBO Specific Diet, Cedars-Sinai Diet, and Elemental Diet. SIBO cannot be treated with diet alone. While diets can minimize your symptoms and make you feel better if you have a mild case, you cannot eradicate SIBO without some antibiotic intervention (either pharmaceutical or herbal). During antibiotic treatment, you want to be sure you aren't too strict with your diet. Starved bacteria hide under biofilms and antibiotics can't reach them. Rather than taking an anti-biofilm agent, Dr. Keller recommends you feed them just enough to keep them out in the open, so the antibiotics will be more effective. She recommends 2-4 servings of white rice if tolerated, or other fermentable carbohydrates like a small amount of FODMAPs: avocado, broccoli, onion or garlic. SIBO diets are often followed for a few months after treatment to help a healthy microbiome re-establish and prevent SIBO recurrance. But these aren't meant to be permanent diets – so work with your practitioner to slowly expand your diet again. 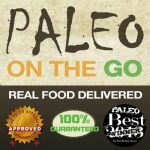 Meal plan resources for this short-term dietary intervention: 28 Days of Low-FODMAP AIP and FODMAP-Free Paleo Breakthrough. Antibiotics are necessary to successfully treat SIBO. Dr. Keller uses two herbal antibiotics, which she finds to be just as effective (if not more so) than pharmaceuticals: Allimed and Neem Plus. Usually she sees profound results in just two weeks. She said that pharmaceutical antibiotics can also work, but in chronic cases, they don't work as quickly as the herbs. Dr. Keller takes people off all probiotics during treatment and for a minimum of 3 months afterward. This includes fermented foods as well as supplements. She believes it takes that long for the immune system to “reboot” and it's best not to interfere during that process. Probiotics are immune stimulants, and they can push the immune system the wrong way. When probiotics are reintroduced too soon, bloating is usually the first symptom to return. Dr. Keller actually never recommends the reintroduction of probiotic supplements. When the time is right, she would rather reintroduce probiotics naturally through small amounts of fermented foods, and the careful reintroduction of fermentable foods that naturally increase probiotics in our gut, like green plantains and sweet potatoes and other prebiotic foods. Bone broth is a healing food recommended in the paleo autoimmune community, because it helps nourish the body at a cellular level. However, if you have an active case of SIBO, bone broth isn't your friend. This is because the cartilage in bones breaks down into food for bacteria. A SIBO-safe alternative is broth made from meat only (no bones) and cooked for a shorter period of time (4-5 hours). After successfully treating SIBO and waiting 3 months for your immune system to “reboot” you can try slowly reintroducing small amounts of bone broth again. If you haven't been tested for SIBO but find that you experience bloating after drinking bone broth, that's an indication that you should be tested. Stress management is an essential part of a SIBO healing protocol. One of Dr. Keller's favorite techniques is Free Writing: Set a timer for 20 minutes. Get a pencil and paper, because you need to physically write. And then just let it all out – uncensored – whatever you're feeling. Afterward, destroy the paper. Then, go for a walk if you can, because the alternating movements of the arms and legs helps decompress from that release. 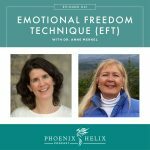 Another technique Dr. Keller likes is Emotional Freedom Technique (EFT). It depends on the severity of the SIBO. Some cases are simple, easy to treat, and people feel 100% better. Others have struggled with SIBO for years before finding a practitioner like Dr. Keller to help them. In those cases 75% improvement is very possible and can feel like a miracle..
Dr. Keller works with patients around the world via Skype and will soon also have in-person office hours in both Portland and Los Angeles. Her website is SIBO Solution.